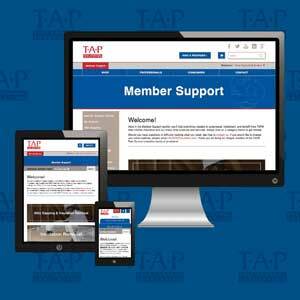 The TAP Online Training Portal provides clients of TAP Pest Control Insulation the tools and resources to increase TAP sales and build loyal clientele. The program is segmented into nine short modules, each featuring an informative, two- to three-minute video followed by a questionnaire. Users can learn at their own pace, whether moving through all modules at once or breaking them up into individual sessions. Modules can also be repeated as needed for a customized user experience.